Even if I am a proponent of Bitcoin, this bothers me. When Satoshi Nakamoto envisioned bitcoin as a payment protocol for everyone, one computer one vote, he was definitely unable to see how capitalism and the already accumulated money will also accumulate Bitcoin. I personally don’t identify myself as a capitalist, I actually dislike capitalism on many grounds, but at the same time, I know why and how it works, it’s not that there are many alternatives in the world. I understand Marxist, communist and socialist ideas but I fail to see how it can propel creativity and drive to move forward and change. It’s like a tradeoff and that’s why I probably like social democracy where they envision a balance of both. But with imperfection. Money is power and powerful always concentrate power and money for their own gains. Equal opportunity ought to be established but equal outcome we can never guarantee. The tension is always there. The concentration of Bitcoin in few places or few hands or few organizations go against the spirit of Bitcoin, as by protocol it is decentralized. But the fact is it is centralized in the big hands and this is the only reason I have against Bitcoin. And maybe that’s why I don’t believe completely that Bitcoin will be a currency for the future. I view it as a digital asset like digital gold which will be used as a store of value. But Bitcoin has shown us how money or value system or payment system can be created without a central money-making machine. I do believe that Bitcoin is better than government currency. I am against the spirit of nationalism and I think the national borders won’t make sense after few millennia and we will appreciate a global currency like Bitcoin. So, ultimately I want to say, Bitcoin will be there. But probably there will be a better currency which can surpass Bitcoin and which will probably not centralized. But then again that is Marxist, libertarian or anarchyst part of my brain talking. As I can see how capitalism is reigning in our world by the power, for the power, with the powerful, who knows Bitcoin might be the winner. Anyway, just some thoughts. I am not an astrologer who predicts future. I speculate and I miss. The ethereum founder Vitalik Buterin also doesn’t believe in proof of work anymore. So, there are smart people who are already thinking about better solution already. That’s always our best bet for survival. Isn’t it? We need an einstein, we need a Nicola Tesla, we need few scientists, we need probably a work and innovation machine like Elon musk as most of us are just fooling around. Well, it’s too much for one little brain sometimes. Bitcoin – how it was perceived in 2013? 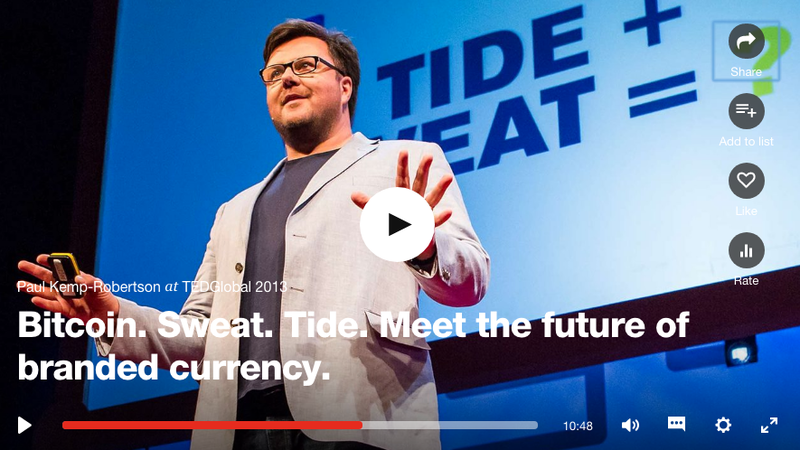 A talk from 2013 at TED(Technlogy, Entertainment and Design). Watch the talk, and think what is different in the talk in 2013 from what it is now in 2018 after nearly 5 years. Enjoy! Around the time, I first heard about bitcoin and got mind blown when I realized it could potentially give birth to a global currency. I’m lucky to find the talk for you all again, while exploring the TED talks. Even though Bitcoin was born with the dream of being a global curerncy, however, now a days, it’s mainly being treated as a digital gold or asset where you invest your money with the hope for making profit. But when I knew about Bitcoin, I didn’t get excited by it’s profit-making ability, rather, I was excited by how a currency can be established without the authority of any government by simply using some mathematics, cryptography and algorithms. The beauty of mathematics and the power of internet mesmerized me in significant way and I started learning more. Since then, it has evolved so much, it has experienced so much, it’s been popularized all around the world, criminalized in countries, stolen, hacked and what not ! So, it may not turn into a currency. Who will buy his coffee today with 0.00036 BTC(~ 3 USD) which may be 360 USD (when 1 BTC ~ 1,000,000 USD) ? It sounds foolish. But trust me I have bought my dinner in an Indian restaurant named Khana Khazana in West Lafayette with bitcoin which will be worth more than that in 2020. I don’t regret it, because I didn’t care, what will be it’s value in future, rather that I and the fellow bitcoiners were more excited to be able to use bitcoin to buy our food. So, may be, not bitcoin, but some other crypto currency will be a global coin. Governments will now create their own crypto coin(https://www.cnbc.com/2017/11/30/cryptocurrency-craze-springboards-government-backed-coin.html). But however the future will be, it’s gonna be an interesting one in terms of how we will use our money. When something is exciting, you can always smell it when you play with it, and this video just reminded me of my memories. Hope when I am old, I can say to my grandchildren that I was part of a monetary revolution.